Edge banding is pretty sweet stuff. 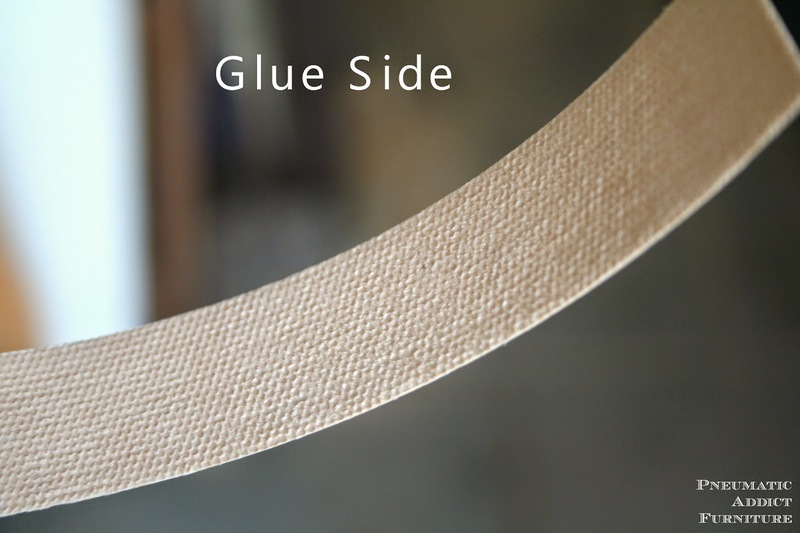 It is paper thin strips of wood veneer that you apply to the edges of plywood, giving the look of solid boards. A great way to save some major money! I have a super cool furniture project that I will be sharing with you all next week. 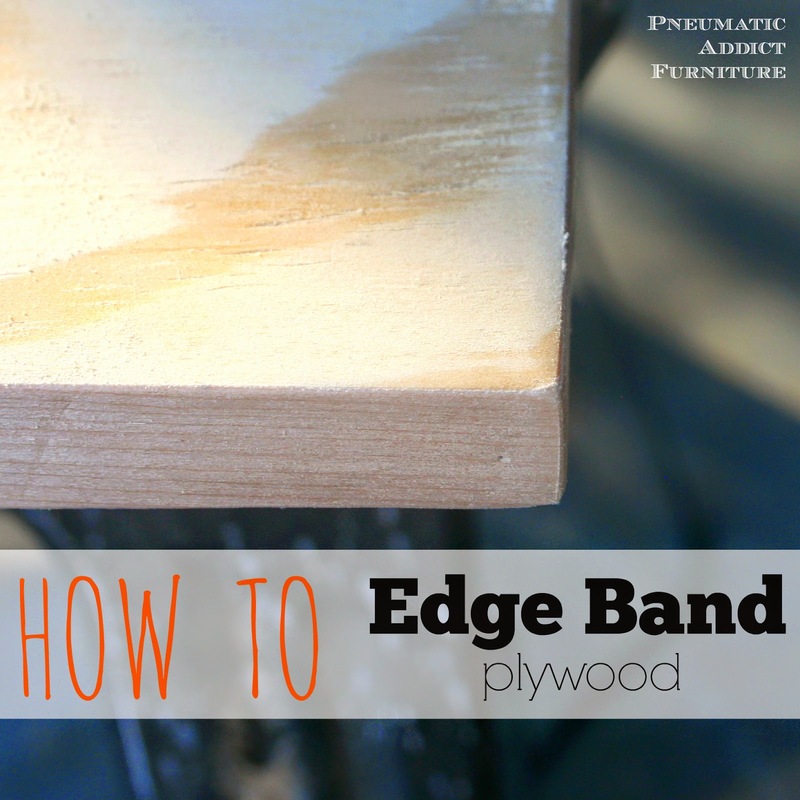 It involved a bit of *edge banding , so I thought I would share my tips for how I apply the stuff. First though, I want to announce the winner of the Country Chic Paint giveaway. Congrats to Karyl G! You're going to have a lot of fun playing around with your new products! Now, back to plywood. You can find glue-less veneer edging, but don't waste your time. 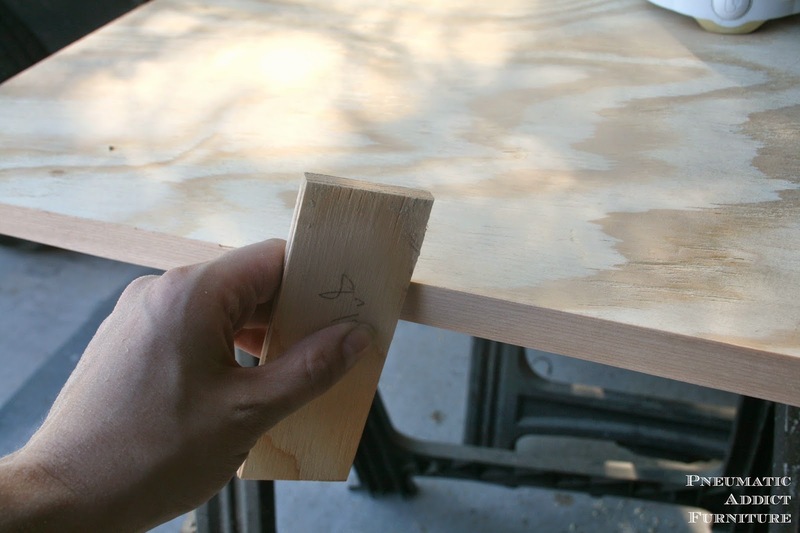 Unless you are a wood working expert, stick with the pre-glued stuff. When you open the package, the edge banding will be in a roll. One side of the veneer will be smooth and the other will be textured. The texture is the glue. The glue is heat activated. To attach the edge banding, find an old iron and crank up with heat to the "cotton" setting. Line up the veneer along the exposed edge of plywood you want to cover. It will hang over the edges a tiny bit, that's okay. Starting on one end, place the iron on the veneer for a few seconds. 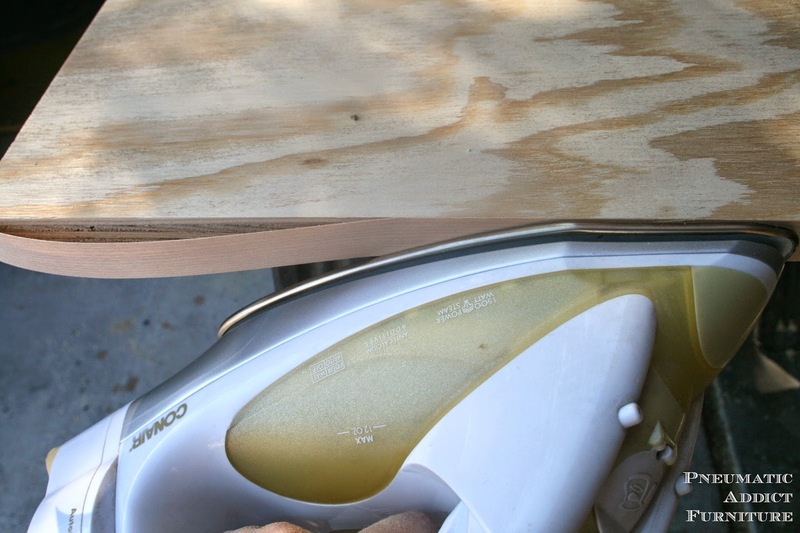 As soon as you remove the iron, immediately and firmly rub the veneer with a scrap piece of wood. This smooths the veneer and helps work the glue into the layers of the plywood. Work in small sections, making sure the veneer is still warm when you start to rub it. Once you have one edge banded you need to trim off the excess. You can find *little trimmers that are cheap and work great, but if you don't have one handy, a sharp utility knife works well too. 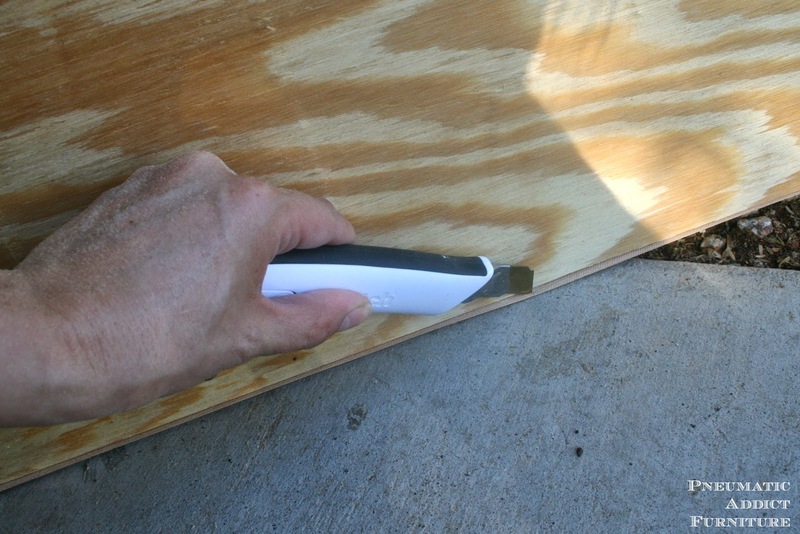 You want to place the board on edge, on top of a smooth, hard surface (I use my concrete driveway). 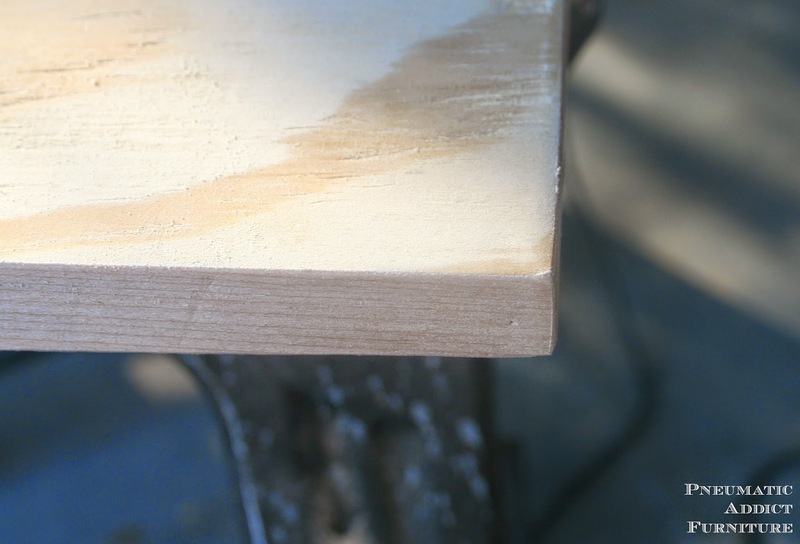 Using a good amount of pressure, glide the blade along the edge of the plywood, shaving off the excess veneer. Trim the ends flush too. Once you have banded all the edges, use a piece of medium grit sandpaper or a foam sanding block to soften the edges. There you go! Looks like a solid board right? Just make sure you don't leave whatever you banded in the garage when its over 100 degrees...trust me. You can check out Instagram for the proof. No fear. I learned my lesson and ended up with beautifully edge banded boards. Stay tuned to see what I used them on!